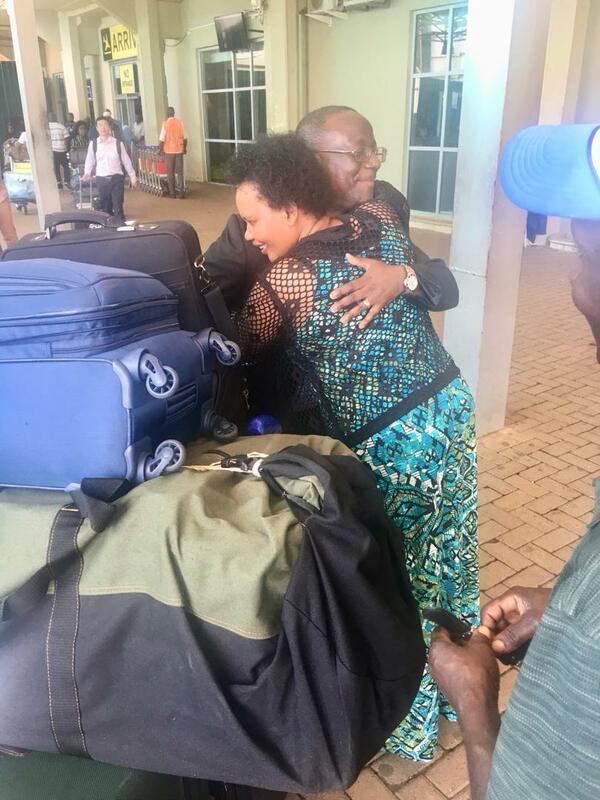 After nearly 3 months in the US , Pastor Arthur returned home. to Uganda. Calvary Chapel Phoenix – As you recall, we had several pastors visit Uganda on this year’s Transform Uganda IV. Calvary Phoenix has been such a blessing to CTM, and we look forward to their continued involvement in 2019! 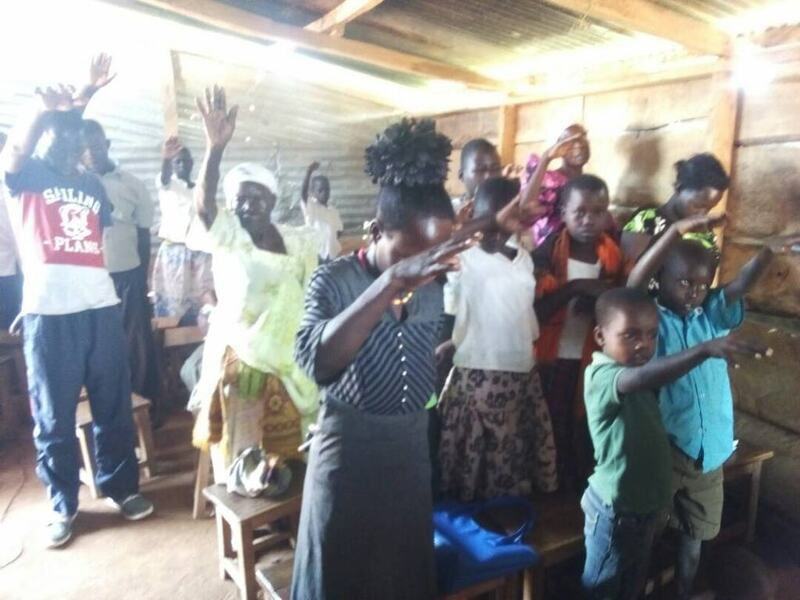 A large church in Texas – Arthur has received communications and support from a church in Texas, as the pastor their has a heart from the people in Africa, and feels the Lord may be leading them to become more involved in reaching out to Africa with our mission teams. He felt it important to visit the church in person, thank them for their interest and concern, and talk about how they can participate with us in 2019. But his hard work did not stop when he returned home. The day after he landed in Uganda, Arthur was on the road to Central Uganda where he officiated the wedding of five couples. 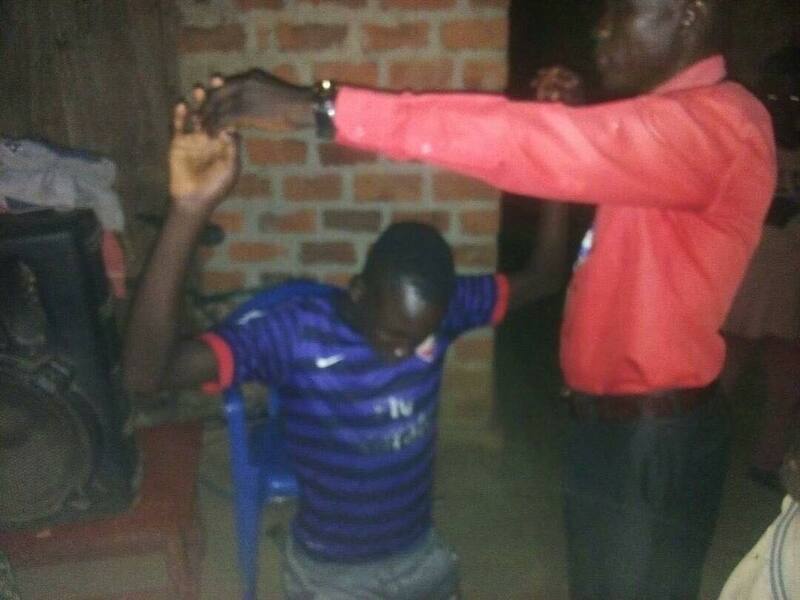 We also have a new church plant not far from Arthur’s home, outside Kampala. Nearly 50 members has joined this new church plant over the past few weeks, and it looks like this is going to grow very quickly! We will share more about this new church in the next posting. May you have a blessed Christmas, as you remember how much the Lord loved us to come into this world, become born as a little baby, grow up to become a man and suffer all the hardships of being human — all the while never sinning – and then sacrificing Himself for all of us, to make a way for us to heaven. This month we are giving you an update on two village followup trips that took place over the past two months. 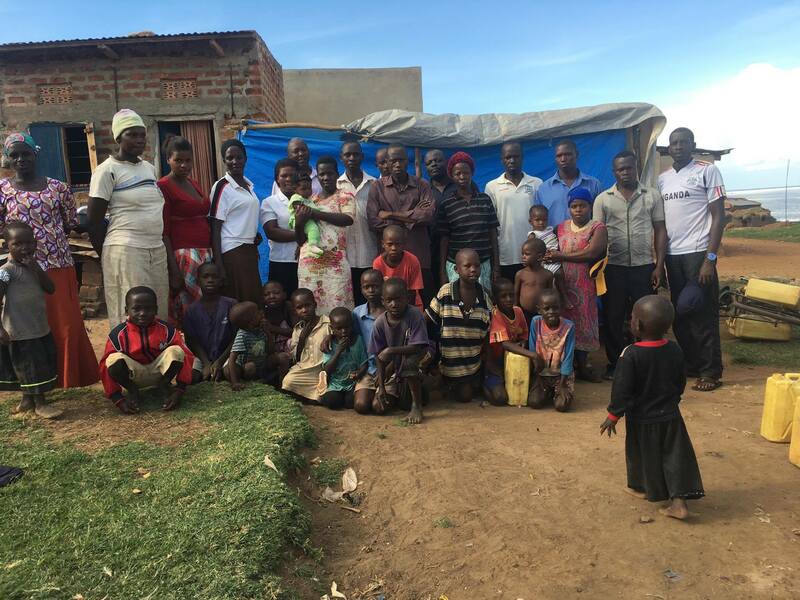 The first was during the first week of September, with Arthur and our local CTM team visiting a number of villages. 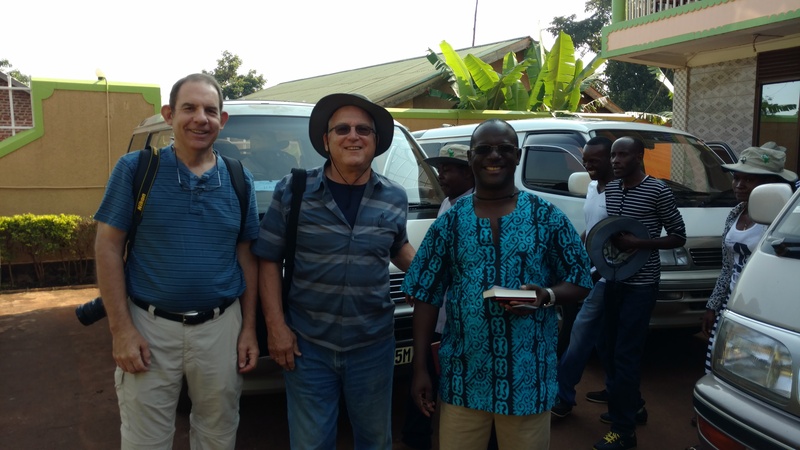 The second visit occurred during the first week of October, with Moses Magzi heading the local CTM team. 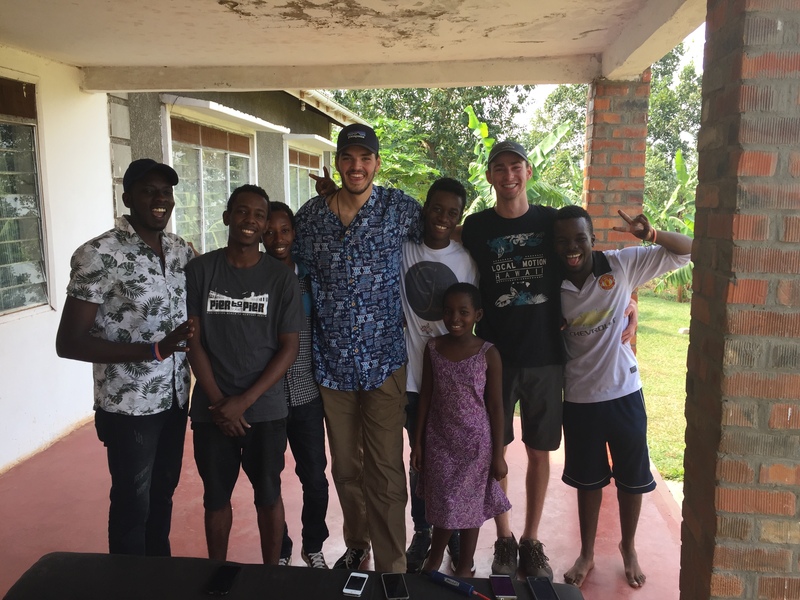 The team was out visiting local village churches over the space of 4 days, having left Kampala on Thursday morning and returning on Sunday night. 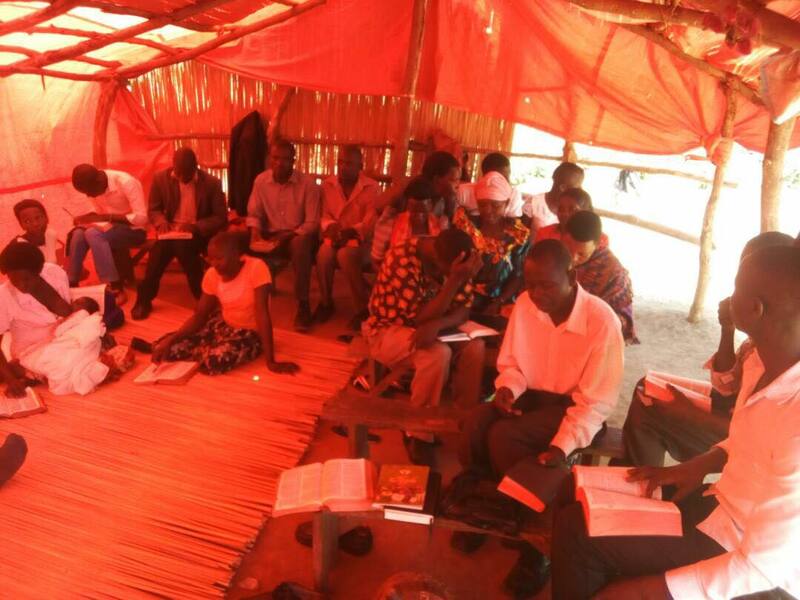 Our CTM team first visited the church at Kisanga, and cleared the land bill at zero balance. Now this local church has the land on which to build an improved church structure in which to meet! 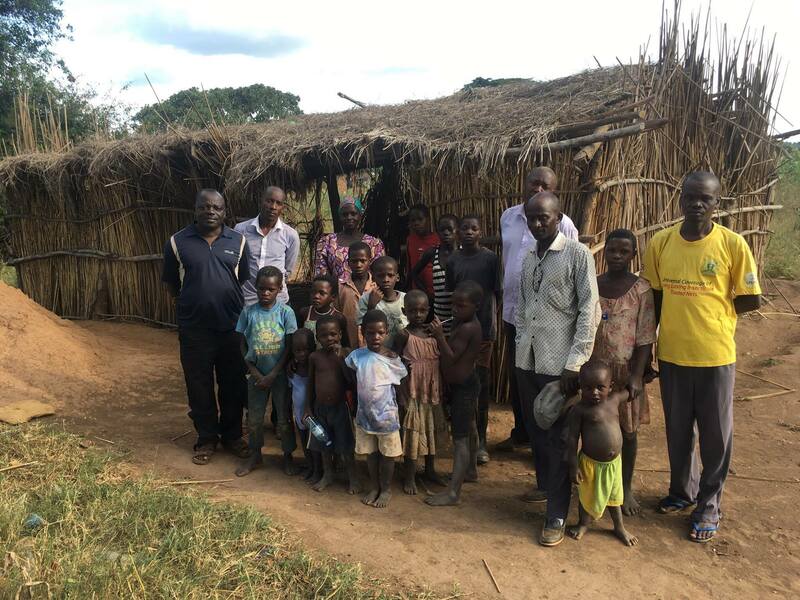 Next was a visit to the Nabigaga church, where our CTM team payed for the road access to the nearby borehole (which we had dug and paid for several months ago, as you recall), and the church land where the large church was finished last August. Our third visit was to the Kapyokoro church in Bukungu, where Arthur and the team met the pastor and few people there, talking with them and encouraging the pastor and the congregation. The Kabale church was the fourth village church we visited, where the team met and spoke with the person who is giving CTM 20 fits by 100 fit land for the church in Kibale. Praise the Lord for His servants who freely given, for they shall be given to! The fifth stop includes the Nabulezi B church, where the team prayed Sunday morning before then returned back to Kampala. That’s the Nabulezi B church where Arthur prayed for that girl who was demon possessed. She got healed during the service on Sunday. He also prayed for different people who were sick and others who had issues with their families. a Jesus’s film showing at the Nagulu church. Photo with youth arms raised – that’s pastor Ronald praying for those to give their lives to Christ. The bible says that “by grace are you saved through faith – and that not of yourselves, it is the gift of God – not of works, lest anyone should boast”. This photo with the red glare inside thatched church – this was taken inside the church of Nagulu. Not sure why the red glare – may have been due to the late afternoon sun shining through the sides of the church structure! In any case, whatever the building, the church is a community of people – not a building! There is a great work God is doing in the church at Nagulu with pastor Monica. 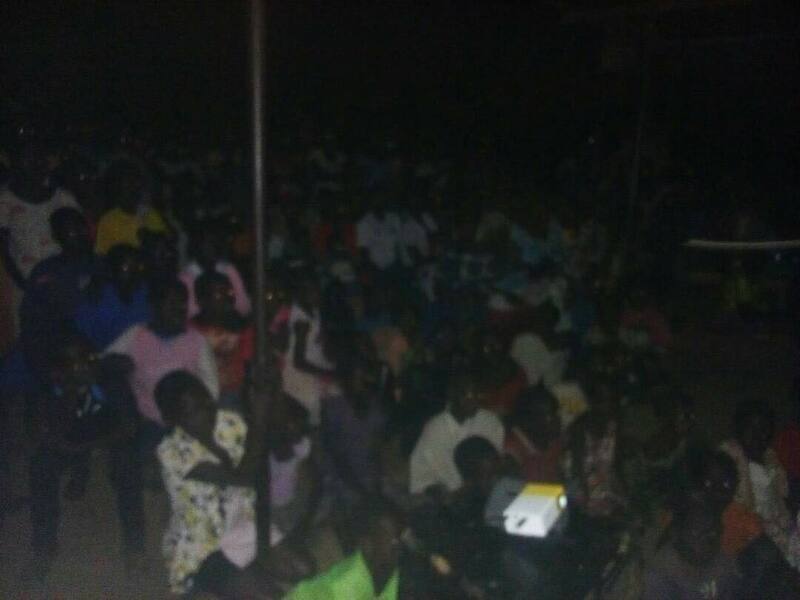 See how a projector is helping us spread the gospel in Busoga. Thank you for you continuing support. In closing, your support has mad possible not only these regular follow-up projects, building up the local churches that were planed in 2015-2017; as a result of the success of TU4 this past August, we are now forming partnerships with several U.S. based churches, who have pledged to help CTM with resources, church leadership training, teaching programs, and further strengthening of the villages churches! More new on the continuing growth of CTM and of the Lords Kingdom next month. Praise the Lord! 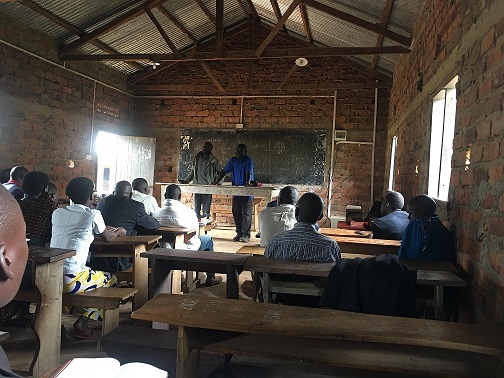 During the middle of May, for about two weeks, CTM visited a number of villages in the back country of Uganda to hold pastoral teaching events. The goal was to train and further equip all of the leaders and pastors from the churches in the Busoga region. 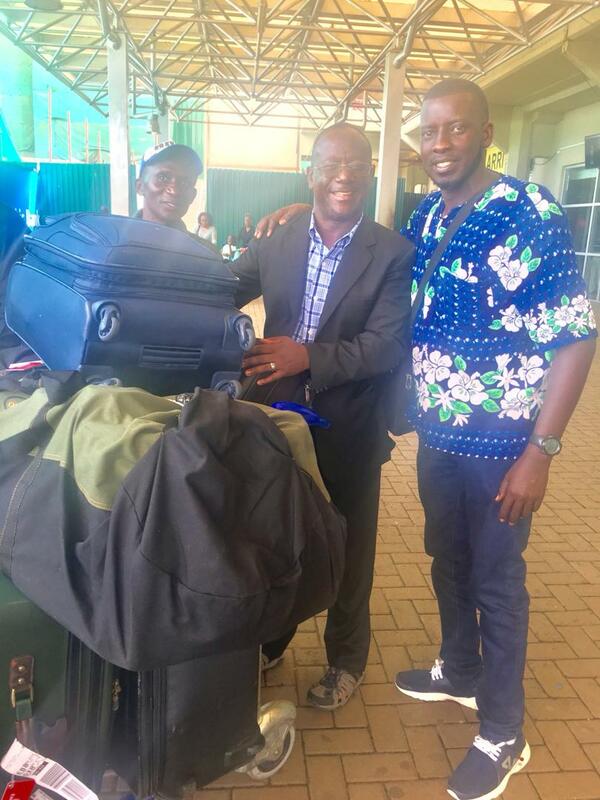 Two teachers from Nigerian churches came to assist – the Rev. Sheshi Steven, and Rev. Alisha. 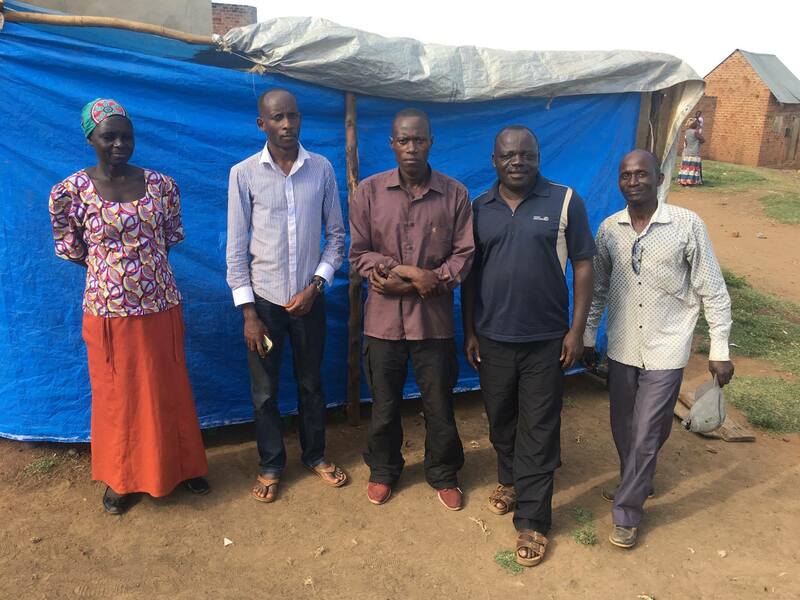 All the pastors and leaders from the Busoga churches attended, including Elder Allan from the Kampala church, Rev.John Dayuru, and the two teachers from Nigeria – that’s Stephen Sheshi, Alisha and Moses Magezi. After the training CTM held a meeting with all the pastors of Busoga at the Nabigaga church to let them know what the vision for CTM is, and what we see the Lord doing through our ministry to the churches, and the people of God’s churchess. In addition, Pastor Arthur visited some churches to check on their status, current needs (for water, building, medical needs, etc.) and to encourage the pastors and church leaders – as well as church members. The churches visited during this id May 2018 trip included the Balawoli church, the Nawangaiza church, the Nabulemezi church, the Kasala church, the Kibale church, and the Nagulu church. CTM considers the training event a huge success, as well as the visits to the local churches. We thank all those who continue to be monthly supporters of CTM – through your prayers, and your donations. You faithfulness is …. The support that provides the funds for these training events, and monthly village outreach trips. Without your support, CTM could not do this! We thank God for you, and for the work He is able to do through CTM and our volunteers. 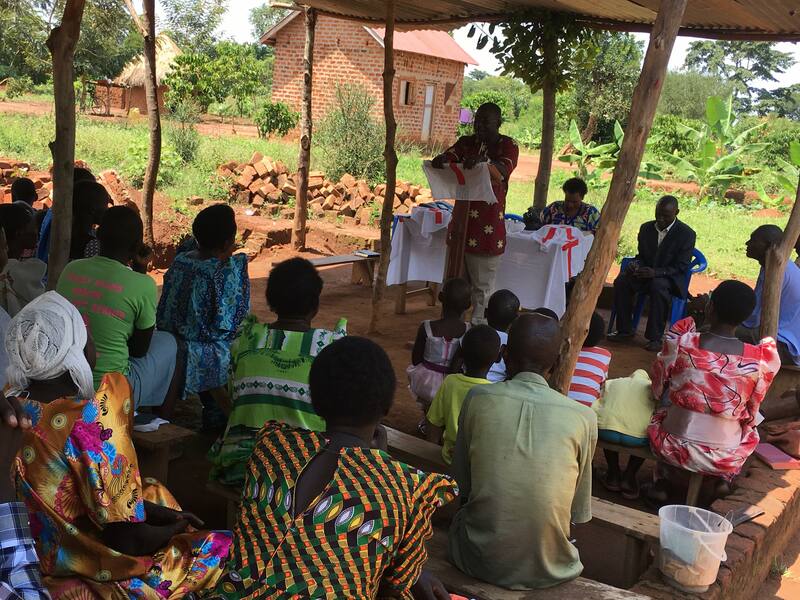 Last month we told you about our CTM regional teams following up with the newly established churches that were planted as result of Transform Uganda III. 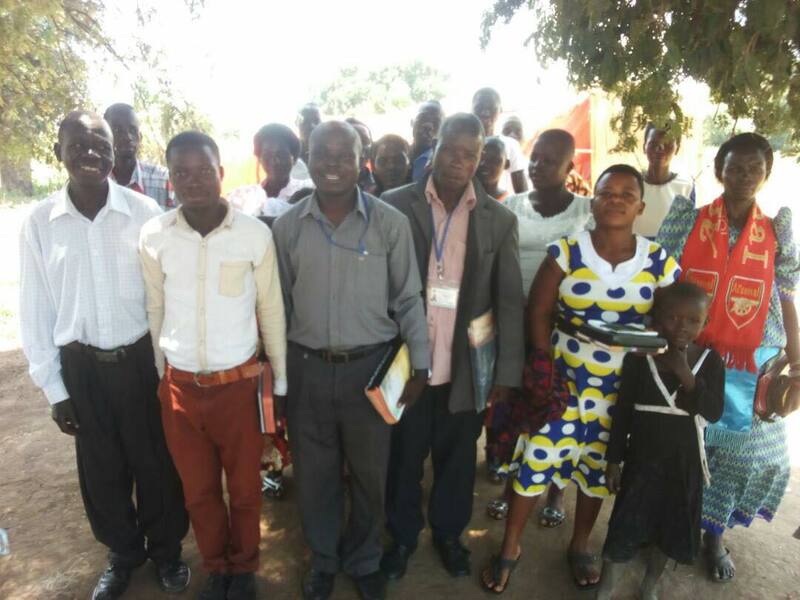 In addition to that outreach (which we want to continue on a monthly basis), our CTM Uganda team partnered with the Church of Christ in Nations (COCIN) to followup with many of the other churches that have been planted previously. 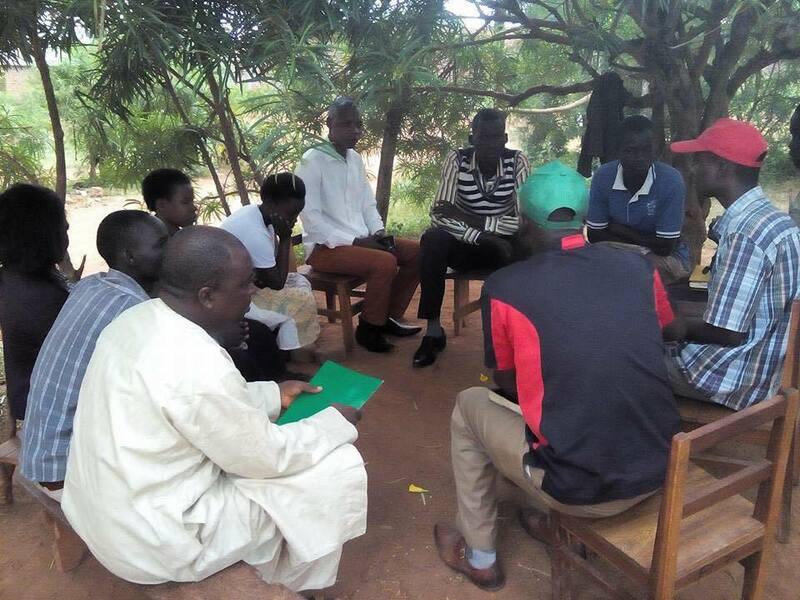 The material for this update with provided by our Nigerian brothers and sisters, who we worked with very closely this past July-August, during Transform Uganda III. As you know from previous posts, the Nigerian Church posted a volunteer pastor in each village during the week of TU III – with each pastor residing in a village for the whole week – encouraging, supporting, and loving the new believers. As a result of this close partnership formed duing TU III, the Nigerian Church decided to work with us again to do some more followup. Thanks be to God for these brothers and sisters! 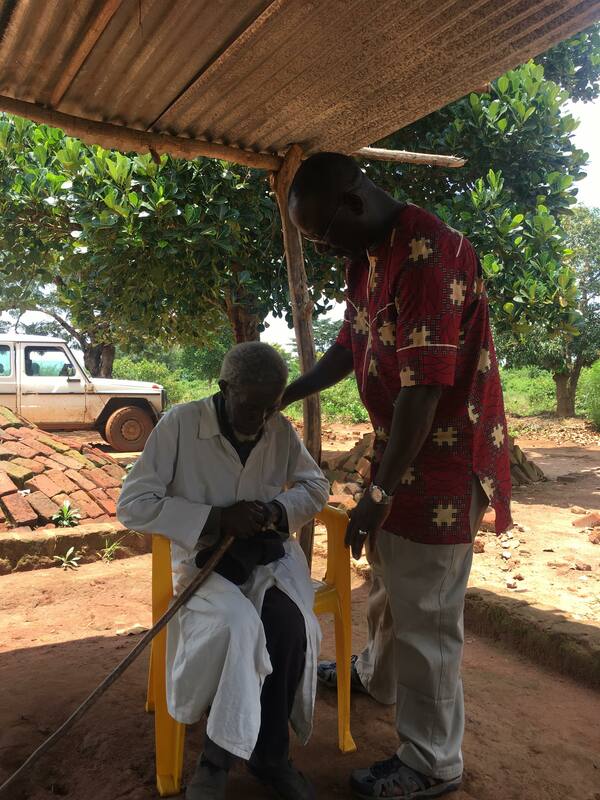 Some 16 decided to participate in this additional outreach, traveling from Nigeria to the various villages where we have planted churches in the northern Uganda bush country. Due to difficulties that arove, only 7 were able to leave Nigeria and activiely participate in this additional outeach to the other villages. 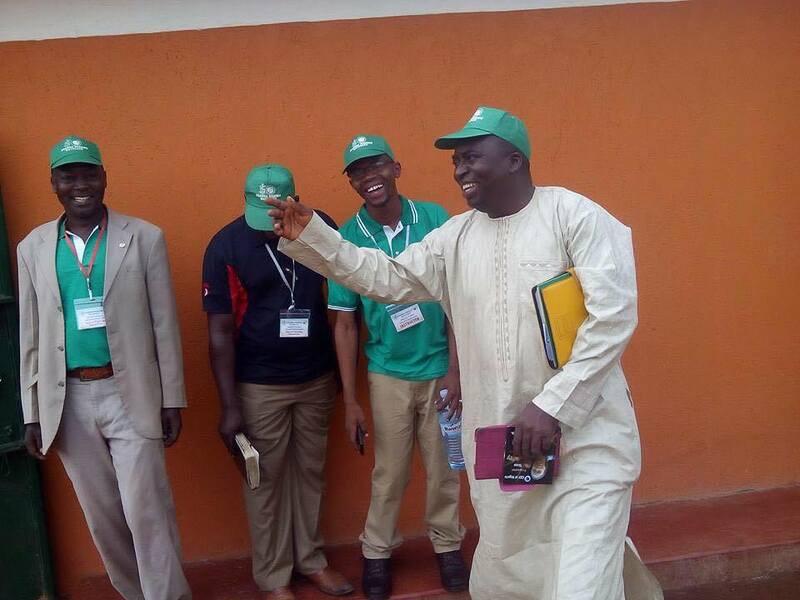 Monday, Nov 13th – The 7 delegates left Kaduna for Uganda on the 13th, arriving by the 16th and enroute to their mission. 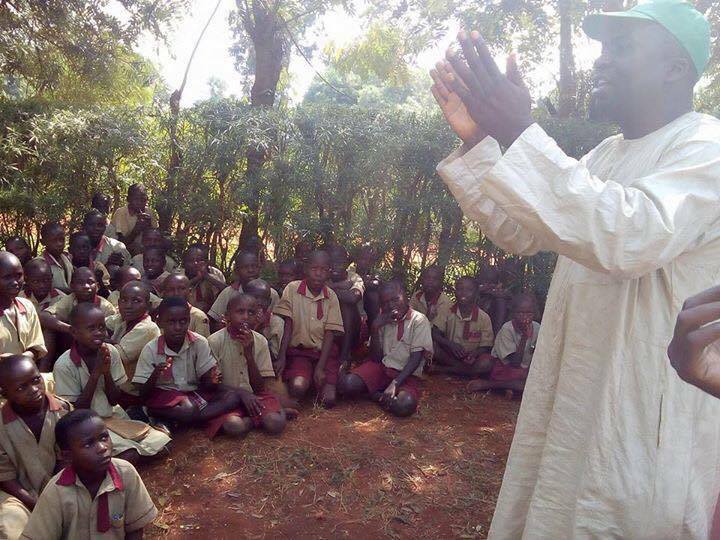 Friday Nov. 17 – Nov . 20th – the team started at a village called Kiyinja- Kiluuma –Butloogo. Evg. 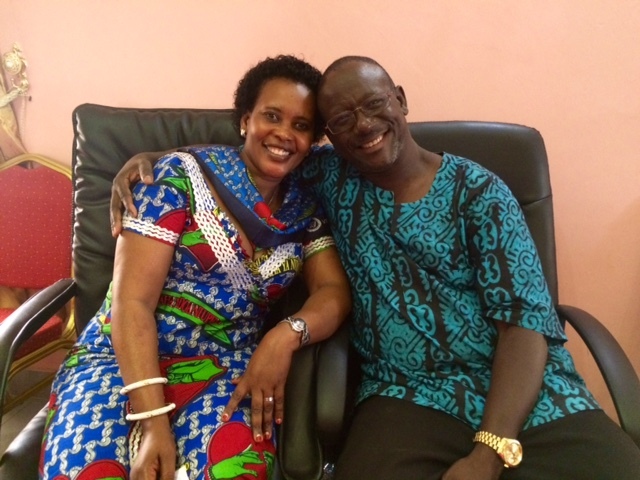 Jonah Tsado, Evg Dorothy Bagaiya, Evg. Lucy Sheshi and Evg. 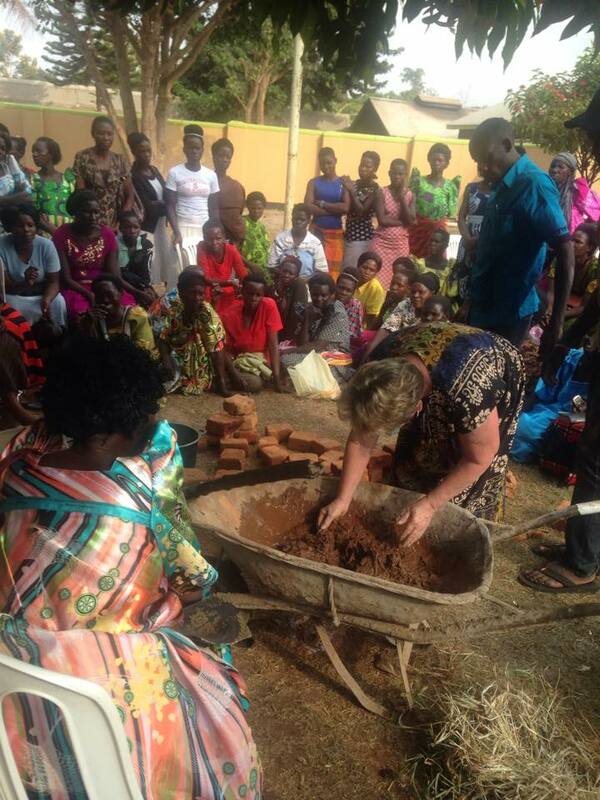 Margaret served there along with Pastor Emma who was translating and organizing the team from Nigeria. The training continued on Saturday 18th and on Sunday, the 19th of November. The team members were divided to worship in different churches and to share God’s word; great testimonies were recorded. On Sunday Evening the team had the Family Life teachings that made great impact, and many people had many questions and they were answered by the help of the Holy Spirit. The Family Life program continued on Monday 20th and it was very amazing. The team started receiving good testimonies it was very encouraging – we give God all the glory. The second team was led by the mission cordinator Evg. Sheshi with Eld. Stephen Bage, and Mummy Rakiya Buba. The team was giving an unusual resounding welcome along with Bishop Emmanuel Kabonge. Almost what happened in Mubende happened in Kibale too. We had similar programs exept that a conference was organized which was comprised of pastors, Sunday school workers, adults and children. The pastors and children workers were separated and trained while the rest were assigned to other helpers for other activities. Progarams started on Friday 17th November and ended on Monday 20th November there was trianing of pastors and Sunday school teachers, Crusades and Film ministry every evening. On Sunday, the children were seperated and taught specially and all the children and teens prayed to receive Christ. Evg. Stephen Sheshi remained in the adult church and share God’s word and when the invitation was given, virtouly all the worshippers repented and made Jesus their savior. On Monday 20th November There was practical session where the trainees were given the chance to for practicals to use the wordless book to win school Children to Christ and it was very effective, as many children were won to Christ. The Family Life session was taken on Monday aftenoon and it was a wonderful time with the church, some questions were asked from the participants and were answered as the Holy Spirit led us. 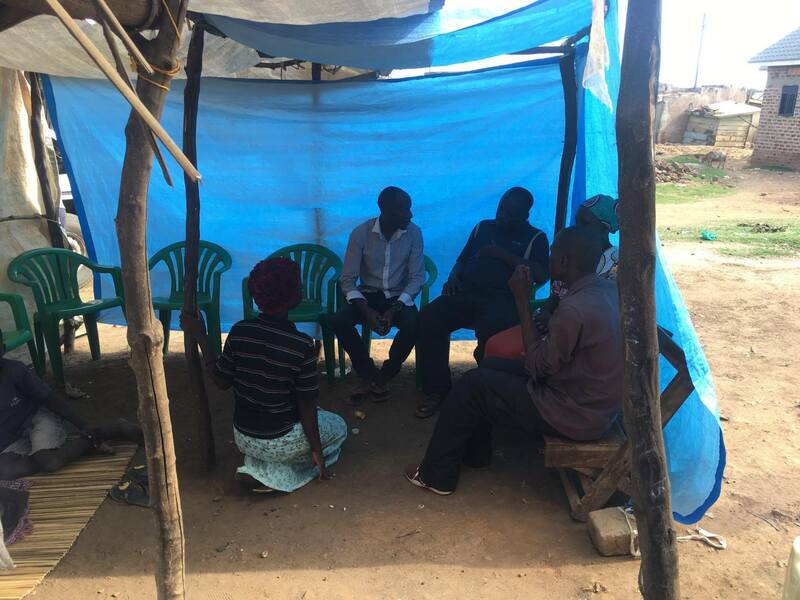 On Tuesday 21st November, the two teams come together and traveled to the eastern part of Uganda – though they had to stop over at Kiwanga Kampala to pick the new team of organizers and interpreters under the CTM, led by Eld Alan of the COCIN Church Kiwanga. The team first arrived at a village called Balawoli where Pastor Timothy Iduli welcomed them , and the first team stayed there for the training. The second team proceeded to the next mission station – the Bumongoli village, near Lake Choga. On Wednesday 22nd November they started the training both at Balawoli-Kamuli and Bumogoli-Buyende. On Wednesday the training started , Evg. Sheshi, Evg Bage and Mummy Buba anchored the work there, though the number was few the first day due to bereavement in the village – but it keep rising gradually. On Thursiday 23rd November 2017 the team was blessed to have Evg. Richard Muwanguzi, the Eastern uganda education director of CEF Uganda who joined the team at the Balawoli mission station. On Friday 24th November the teams trained till afternoon, then they shared with the students in different schools to practice what they have learnt, The team witnessed many children give their lives to Christ. Even within the days of training, the team managed to visit a school in the community – witnessing to both pupils and their teachers, and many accepted Jesus to His glory. The second team served in the Bumongoli village, but had to be sleeping at a nearby village. Almost the same activities happened in Bumongoli mission station which was led by Evg. Jonah Tsado, CEF National Director. The team had a wonderful experience as many of villagers confessed that they never knew children could receive Christ as their savior. Some promised to start children work immediately. The Family Life Program was a great blessing to many families that participated, and many burning issues and questions were answered. 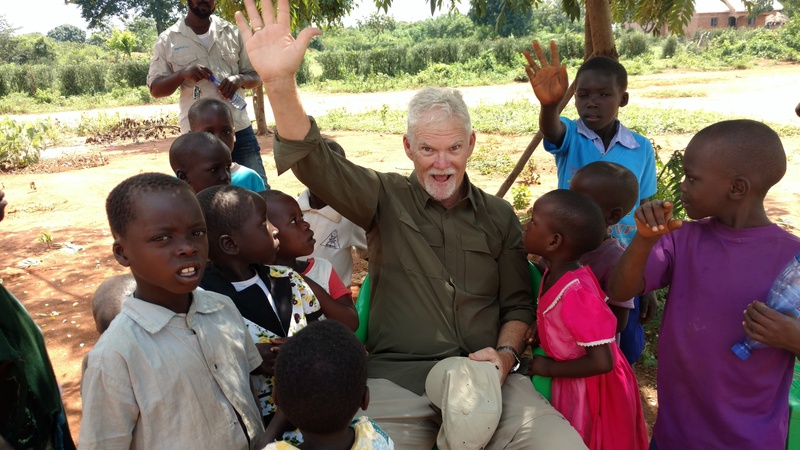 On Saturday 25th Nov. the teams started their journey back to Kampala to wind up this additonal mission outreach to the village churches established by CTM in northern Uganda. Praise the Lord for the soft and gracious hearts of these Nigerian brothers and sisters – so selfless and willing to help and support their Ugandan brothers and sisters. May the Lord continue to bless the Nigerian Church, CTM, and all the people whom the Lord has chosen to fill His Kingdom! Stay tuned to this Blog, our eNewsletter, and our Facebook page to stay current with CTM. New Church Plant Followup Continues in November! Monthly New Church Follow-up Program Continues! 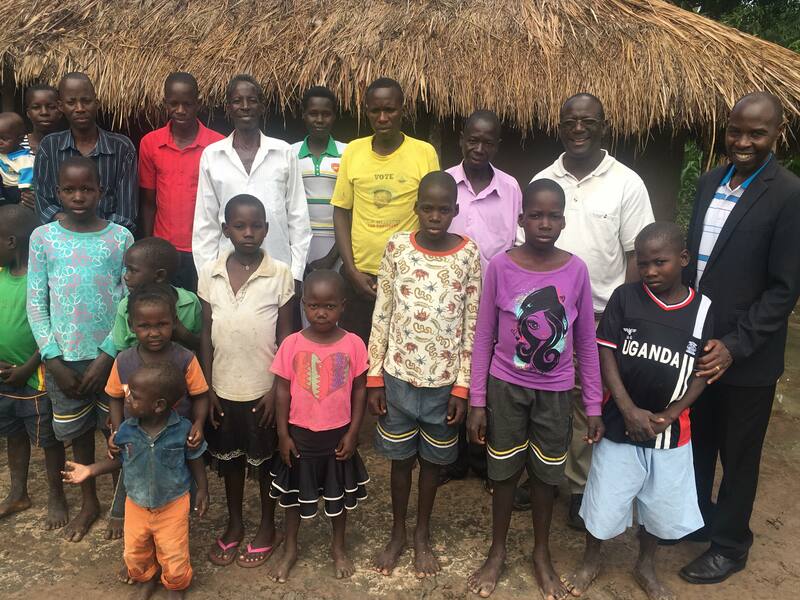 These 12 new churches plants are in addition to the 16 planted by Transform Uganda II in the summer of 2016 – making a total of 28 new church plants in the last two years alone. And this is not even considering the churches planted by CTM in earlier years – going back to the early 2000’s. 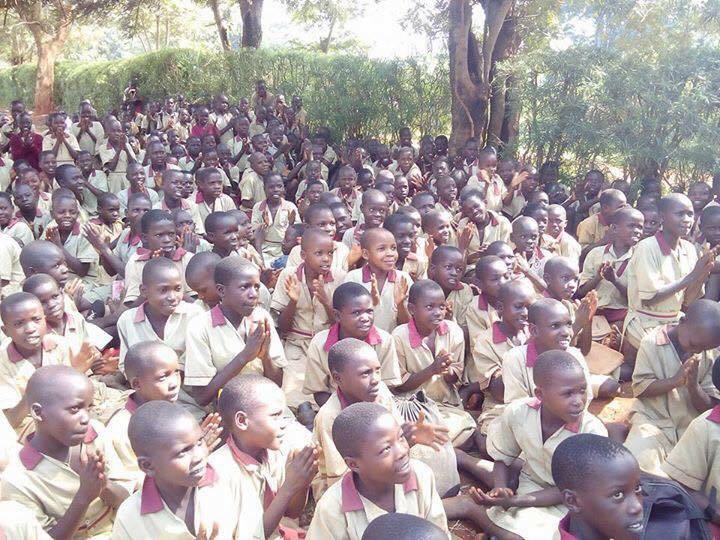 In total, CTM has with its partners planted now well over 130 churches throughout the north of Uganda! 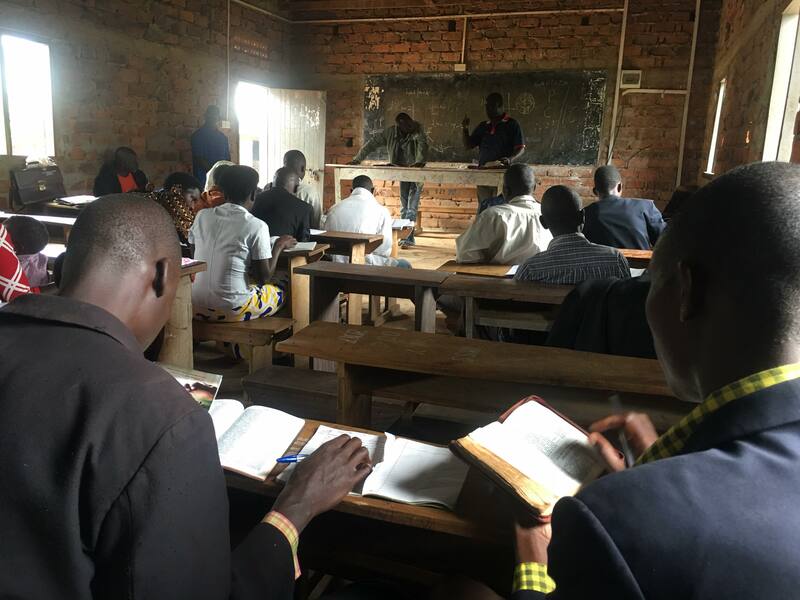 Our local CTM team went out once again at the beginning of November to visit many of the new church plants that took root during Transform Uganda III, but also to visit some of the churches established in 2016 and earlier in 2015. Our local CTM Regional team support that went out on these trips (for the Busoga region in north Uganda) includes the brothers listed below. You will see these servant-hearted men and women in many of the photos taken. We can’t list news about all the churches visited (due to space limitations), but below we are sharing an insight into 3 of the churches visited. Please be in prayer for these churches, and give financially if you are able! Pastor Monica heads up the Nagulu church. The Nagulu church is less than a year old, having been established in 2017. Monica has done an awesome job of getting this church going, while raising her 9 children! The church was visited in July of 2017, and continues to grow thanks to the Lord’s blessing and Monica’s leadership and care. The church numbers about 37 men, women and children, and Monica does have a bicycle to get around to visit church members. The church has a temporary structure to worship together in, and someday hopes to build a more permanent structure. Although Monica has a bible, many of her church members do not. 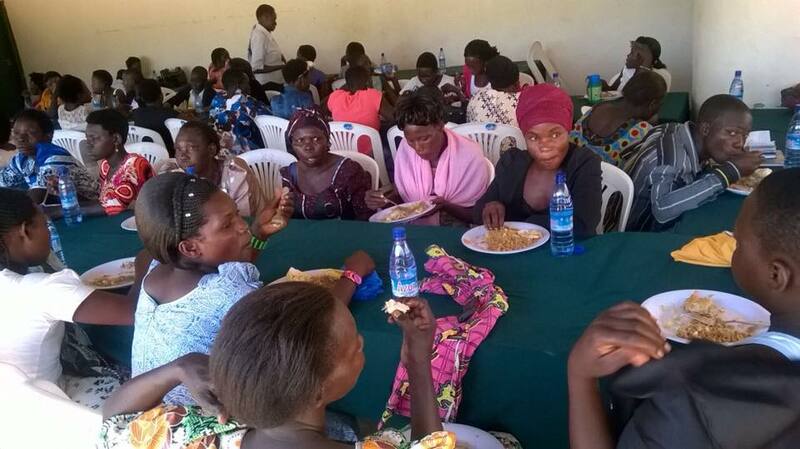 She reports that about 20 bibles are needed – in the Luganda language. Will you help supply bibles to this church? A new bible in the local language costs $13. You can easily help by going to our Donate page and clicking on the option to donate your gift toward purchasing bibles.. There is also a need for a water well (borehole) for this church! There is no nearby water well at all for the people, and they must walk daily to rivers or streams to fetch water – which may in fact be polluted. Thus causing disease and sickness to the people. If you would like to help build the next CTM water well, please go to our Get Involved page and enter your donation. 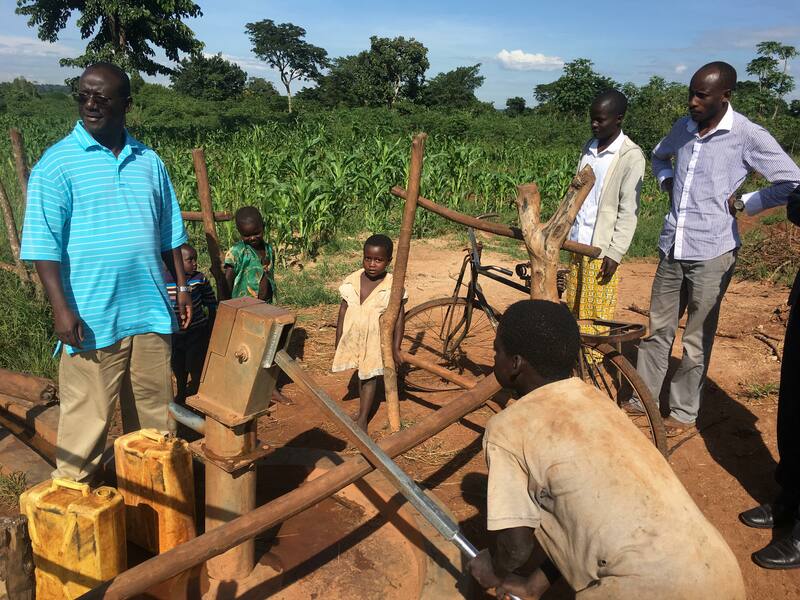 A deep water well costs about $6,000 USD to drill, and thus far we have allocated $2,500 toward the next water well (borehole). We need $3,500 in additional donations to begin drilling, so that the people in the village will have clean water. This is probably where one of the next wells will be drilled! The church at Kapyokolo was also established in 2017, is less than 1 year old, and is lead by Pastor Ben (who has 4 children). The church has about 25 members, and is growing. The problem is, the pastor has NO transportation to help him get around the village, go for supplies or help, etc. Will you consider donating $75 to help this pastor get a bicycle? You can easily do this by going to our Get Involved page and clicking on the option to donate $75 to purchase a bike for a pastor. We will ensure 100% of your donation goes for this purpose, you will get a tax deduction, and the blessing that you are helping a pastor meet the needs of his congregation! The church also has a need for more bibles for its members. There are about 25 members, and only 5 have bibles. 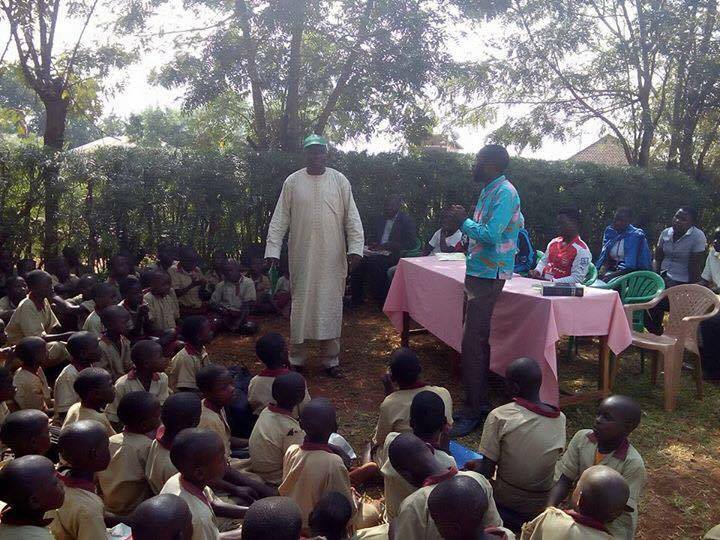 So about 20 bibles are needed in the local Luganda language. Will you help supply bibles to this church? A new bible in the local language costs $13. You can easily help by going to our Donate page and clicking on the option to donate your gift toward purchasing bibles.. Finally, this church at Kapyokolo also has no access to clean fresh water – no well, no borehole. This will also be our target for an upcoming water well to be dug. As we indicted above, a borehole costs about $6,000 for the surveying, getting the rig out on site over very rough roads, and paying the crew to drill the deep 300 foot well to reach clean, clear water. 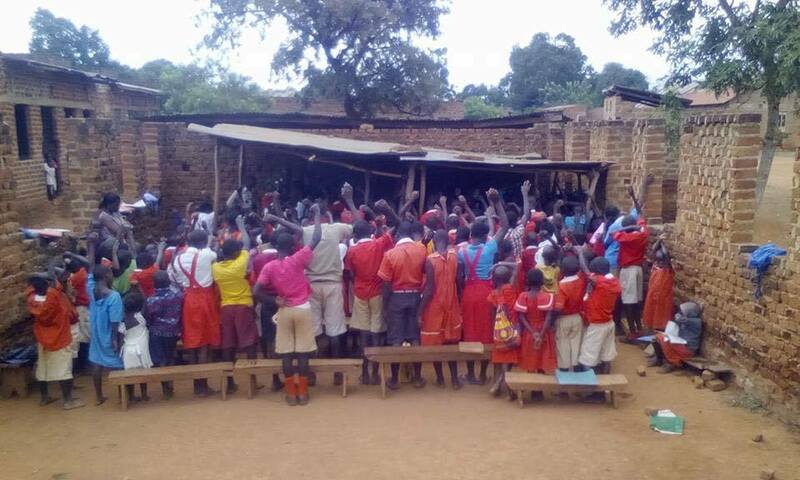 If you feel led to contribute toward this well, please go to our Get Involved page and enter your donation toward “the well at Kapyokolo”. Thank you. – you will be blessed, and helping an entire village get access to life-sustaining water! We also visited the church at Kasaala, which was established almost 3 years ago in 2015. This church is led by Pastor John, and has grown to about 60 members! The pastor is married and has 6 children. 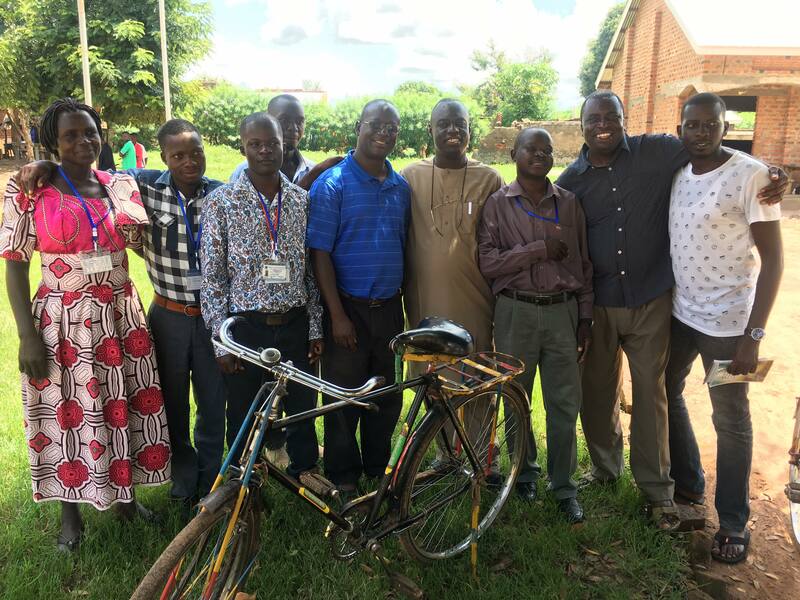 Thanks to your donations and support, he has a bicycle to get around and visit his congregation. A temporary church meeting center is still in place, so there is a need for a better church structure. And although the pastor has a bible, most church members still have no bibles! They need about 20 bibles in the local Luganda language. 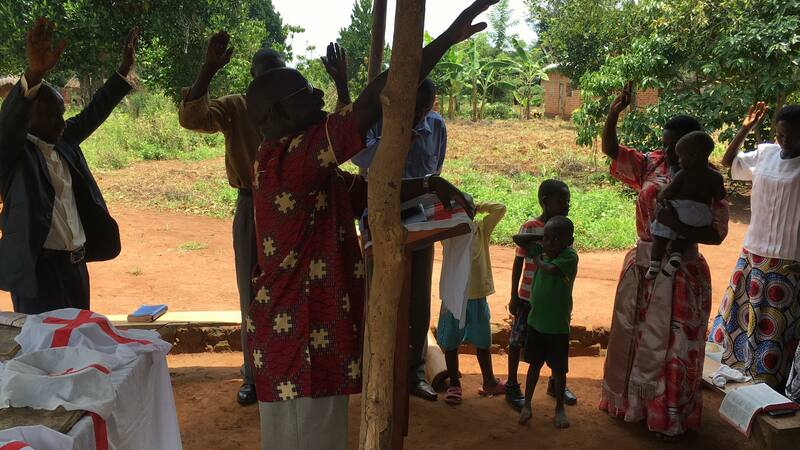 Will you help supply bibles to this church? A new bible in the local language costs $13. You can easily help by going to our Donate page and clicking on the option to donate your gift toward purchasing bibles..
Fortunately there is a local water well (borehole) in the vicinity of the village, but it is not a deep well – hence the water is salty, and no so good. We are planning to help them get a deep well in the future, so the villagers can have clear, fresh water – but we are waiting on the Lord for his provision on this. We Need Your Continuing Prayers and Support! We rely on your donations to go back and visit these churches, and see that we help the grow and develop. Currently Christ Transformation Ministries (CTM), being formally organized as a non-profit in 2016, does not yet have any big donor organizations, not are we funded by any large churches or institutions. We rely on individual donors like you to so the work of Christ in the back country, hard to reach villages. Why Not Become a CTM Support Partner? Have your donation used to purchase bicycles or scooters – much needed! Or, you can visit our Donate page, and just pledge a flat monthly gift (ANY amount will help – even $20 per month) to be used to support the work of CTM. in Africa. We will sent you a CTM T-Shirt or Cap as a special thank you, and you will be an integral part of this work. Please consider partnering with us, and praying for the work of CTM! We need your prayers, and your monthly support to continue the work God has called us to do! May God bless you, and keep you in His care. How You Can Get Involved to Support CTM! Please visit our Get Involved web page and prayerfully consider which of these ministries you would like to support, and hopefully become a regular monthly supporter of the ministry of your choice. Enter any amount – $5, $10, $20, etc. You can also write out and email a check if you like. Please see the Donate page for more information. This is a day not about bunnies, but about the Lamb. The Lamb of Gob who gave Himself a willing sacrifice for our sins – the sins of all humankind – past, present and future, that we might be made right with our Creator. He is the free gift of salvation, to all those that believe and receive Him. 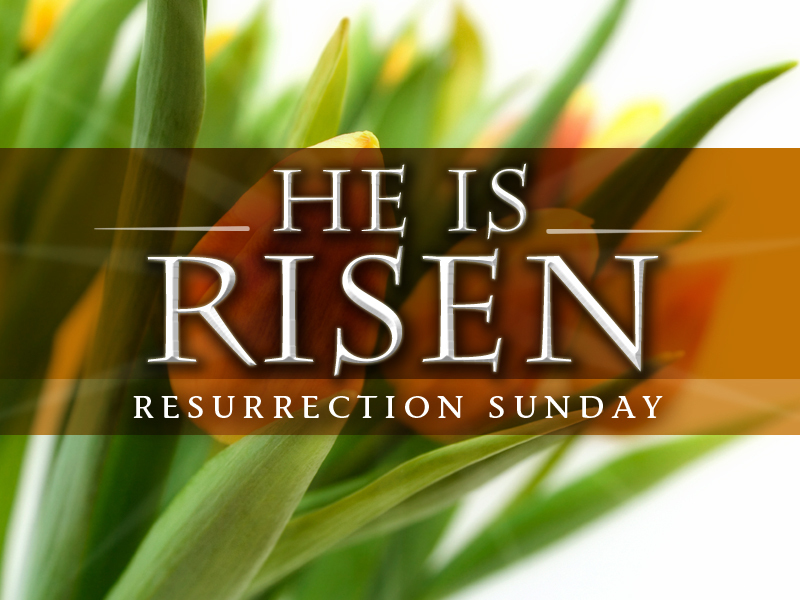 We at Christ Transformation Ministries wish you a blessed Resurrection Sunday, as this is a special day where we remember that death was defeated once and for all by our Lord Jesus Christ, for it had no power over Him; and it has no power over those that believe and trust in Him as their Lord and Savior. He was the “first fruits” of resurrection into new life, for all those that believe in Him and receive Him into their hearts. He truly is “the resurrection and the life”! These films are available in English, French, Hausa, Moore, Chichewa, Shona, Krio, Zulu, Ndebele: Northern, Portuguese/Mozambique, Kikuyu, Akan: Twi, Swahili: Tanzania. And, of course the classic JESUS Film in many African Languages is also available. 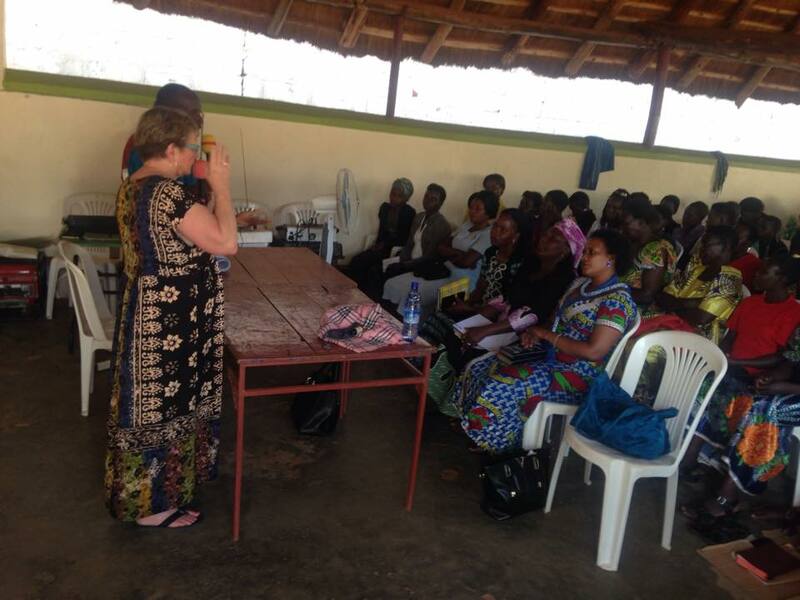 We just received some photos on the January Women’s Conference from Esther Magezi and Martha Wagner. 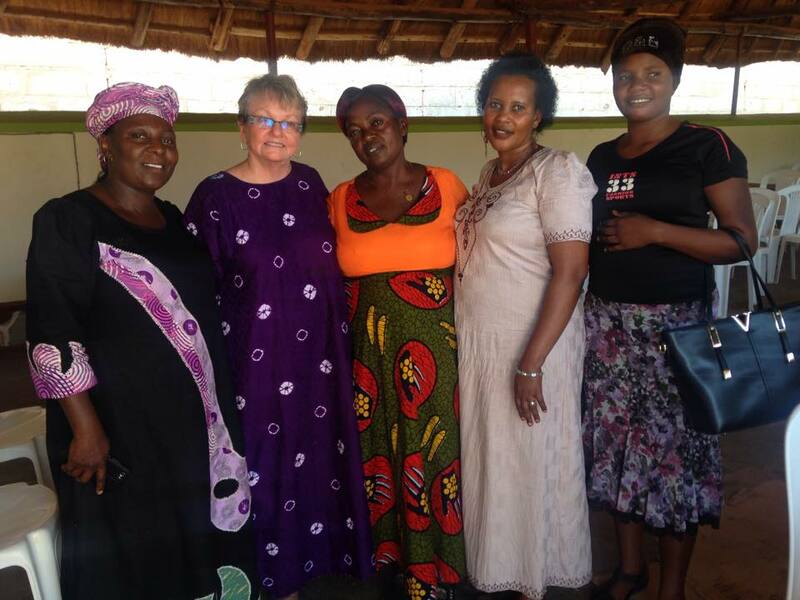 Martha was visiting this January to link up with Esther Magezi to put on a three day women’s conference with the women from the Ugandan villages CTM serves. As you can see, quite a few women attended. Activities included messages on God’s Word, a brick-making exercise, sharing during meals, and fellow-shipping with one another. As you all know, Esther is Arthur Magezi’s wife, and an integral art of the ministry of CTM Uganda. 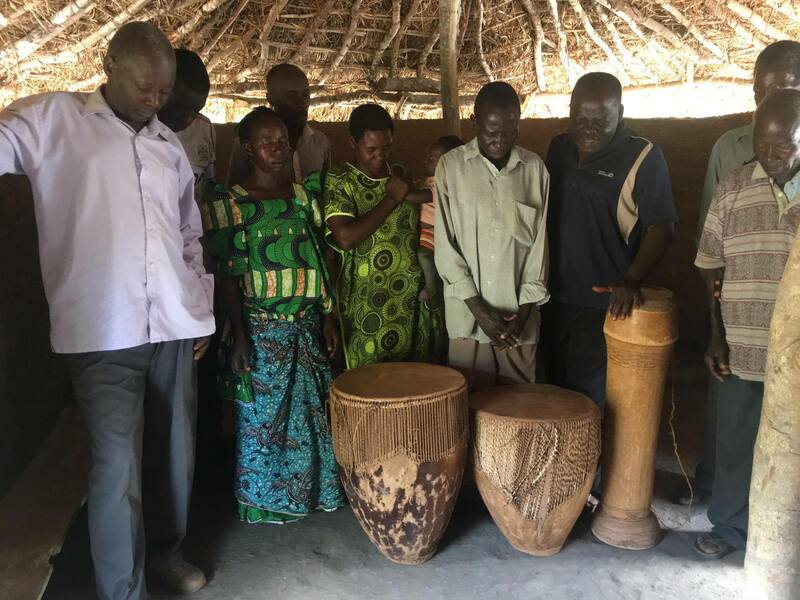 Martha Wagner hails from Corvalis, Oregon, and made this trek to Uganda during January with Mike Parker, Dan Noel, and several other folks, to minister to the local churches in Uganda. 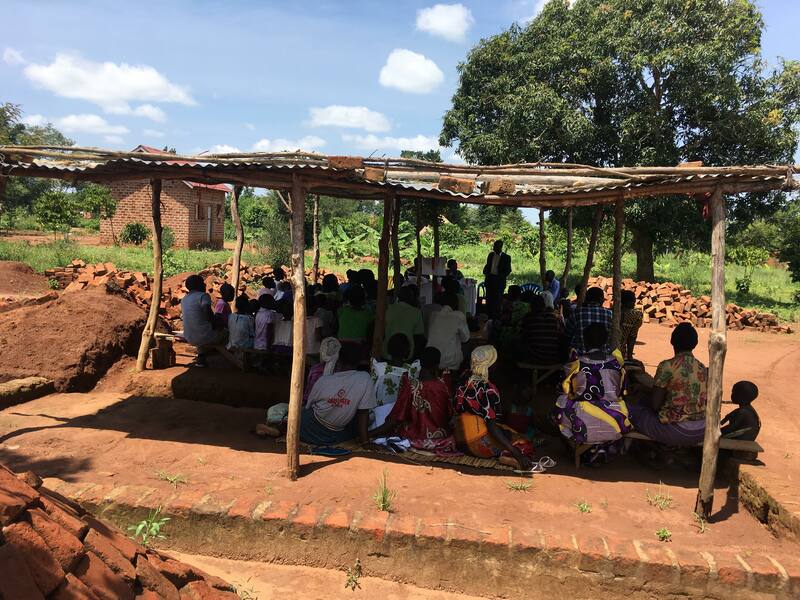 Prior to the Women’s Conference, Dan Noel, Arthur Magezi and others visited the villages churches to minister to the new pastors, and build up the local churches. A board meeting for CTM Africa was also scheduled. to map out the plans for events and ministry into 2017. We will be posting some news stories and photos from Dan and Arthur’s trip in a few days. So stay tuned for more exciting news! We thank God with you on this day. He has taken care of the American people and used you to bless the world. We thank him for every individual and the nation at large. We are praying for you. Pray for my daughter Abigail who has had stomach pain for three days now. We will take her to hospital tomorrow (it’s night here). May the Lord bless you today and keep you thanking Him always.